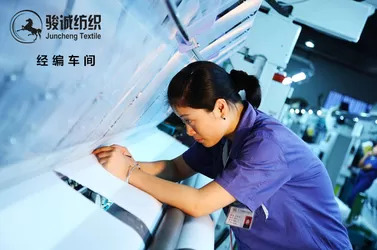 Haining Juncheng Textiles Co., Ltd, a professional fabric maker, specialized in many kinds of warp knitting fabrics,including polyester,spandex,nylon,cotton fabrics. With a long history,Juncheng Textiles has been completely dedicated to fabric production and sale since 2009. 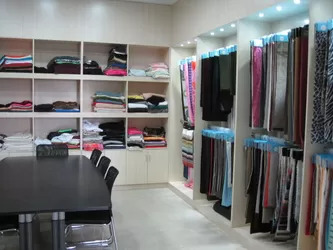 Our products are mainly including super-soft short velboa, common short velboa, corduroy and eyelet fabrics,suede,velboa,tricot brushed,super poly,fluorescent fabric,printing fabric,bonding fabric,sofa fabric,home textile,golden velvet,mercerized fabric,mesh,tricot lining fabric,dull velvet,curl-surfaced velvet,swimwear fabric,tricot brushed, dazzle,EF/micro velboa, tricot fabric,micro suede,imitating velveteen, nylex,loop velvet,spandex fabric. 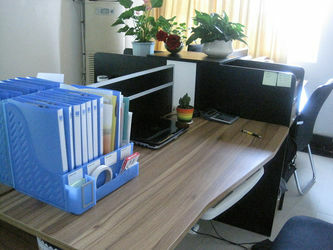 Super-soft short naps are our main products, with weight of 150-430gsm, breadth of 130-250cm and height of 0.5-8mm. Our leading finished treatment methods include laminated, double-side raising, rib, gilding, coining, spray stripe, brushing, clipping and carving, steaming, printing, carve-printing and flame-retarding. This fabric is the best material for garments,curtains, shoes, toys, beddings and decorations. Moreover, we can design other special patterns for customers with special requirements. At present, our products sell well in USA, Europe, Australia and Southeast Asia. We have established long-term cooperative relationships with our customers and obtained a good reputation from them. Our mission is to rely on our quality to win your trust and rely on our sincerity to develop your business. Following the market demands, we are working for meeting your demands. Upholding such operational idea of "be practical, be creative, be cooperative and mutual benefits", we are looking forward to cooperating with customers for a bright future.We will never let you down. Please do not hesitate to contact us immediately!